Simple Modern British food served at tables or the bar in this airy, all-day Chelsea restaurant. 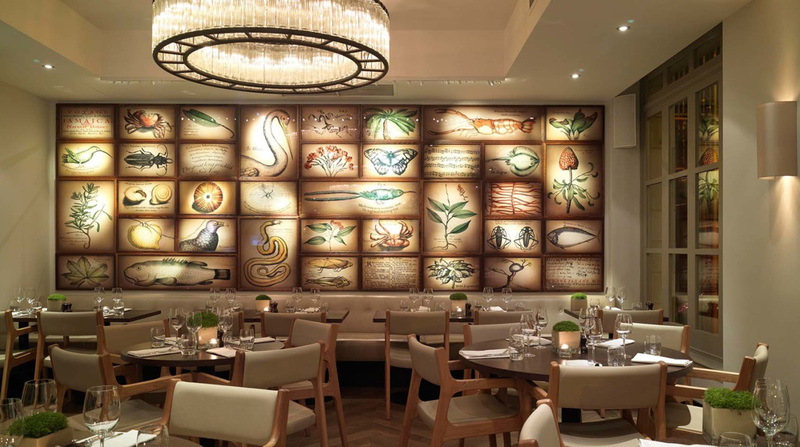 The Botanist is a stylish, contemporary restaurant and bar on Sloane Square, opens all day every day. The venue has an elegant look as befits its chic Chelsea location: the light and airy dining space has floor to ceiling windows; a stunning stripped oak floor and a beautifully lit display of botanical images. The menus offer a selection of carefully sourced, seasonal dishes and delicious desserts are also on offer. The gleaming pewter bar also offers a fantastic space for drinks. The extensive wine list features 150 bins and the cocktail list offers all the classics plus a selection of original, bespoke cocktails using of seasonal British ingredients.